Below you will find information about some of the many community events that the District organizes and/or is a part of every year. The Serving Our Seniors (SOS) program provides weekly grocery deliveries to senior citizens who do not drive, but continue to live independently in their own homes. As you can imagine, this service is invaluable to so many of the residents in our community. The SOS program is staffed entirely by volunteers, a dedicated group delivering more than 250 grocery orders annually to District residents needing assistance. Since its inception in 2002, the SOS program has logged more than 10,000 volunteer hours with more than 24,000 grocery deliveries, all coordinated through the Publix at Riverchase in Naples. This program could not exist without the coordination efforts of the SOS volunteers and the Publix at Riverchase team. 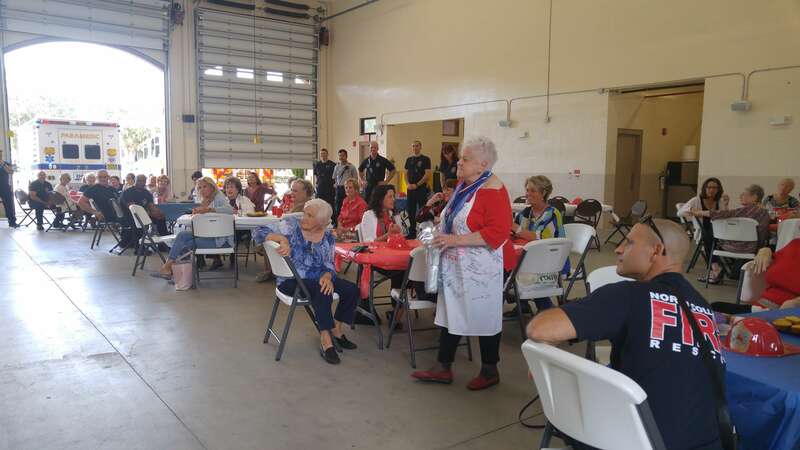 If you are interested in learning more about the Serving Our Seniors program or are interested in volunteering, please contact Lt. Christopher Spencer. 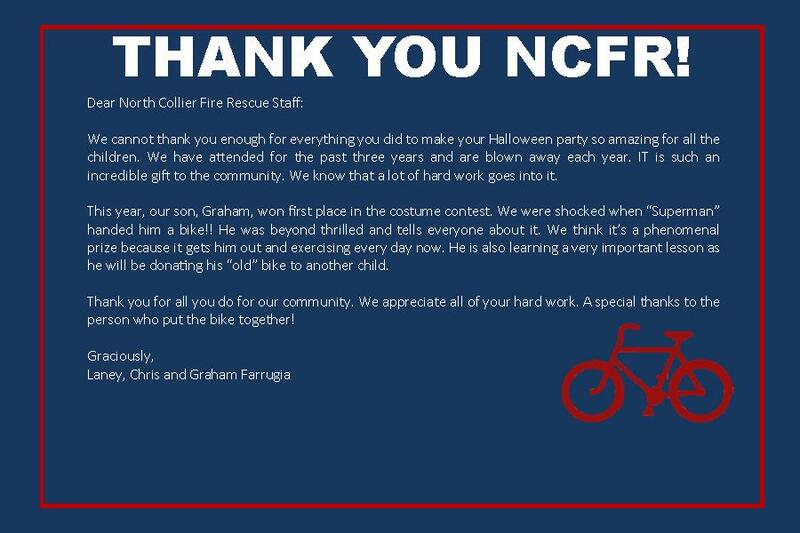 The North Collier Fire Control and Rescue District is proud to sponsor its men and women in their efforts to help the families of fallen brothers and sisters. Each year, the Brotherhood Ride team selects one or more fallen heroes to honor by riding bicycles to the hero’s hometown to provide financial and emotional support to their families and friends. This annual commemorative ride is scheduled at the one year anniversary of the fallen hero’s death as a symbol that they are not forgotten. The Chase Hoover Memorial Blood Drive is held each August and honors Chase Hoover, the son of North Collier Firefighter, Lt. Mike Hoover. Chase succumbed to Acute Lymphoblastic Leukemia (ALL) in 2011. Frequent blood transfusions helped to lengthen Chase’s life, giving family and friends additional and precious time with him. Each year, the Memorial Blood Drive and Open House celebrates Chase’s life and honors the importance of donating blood. 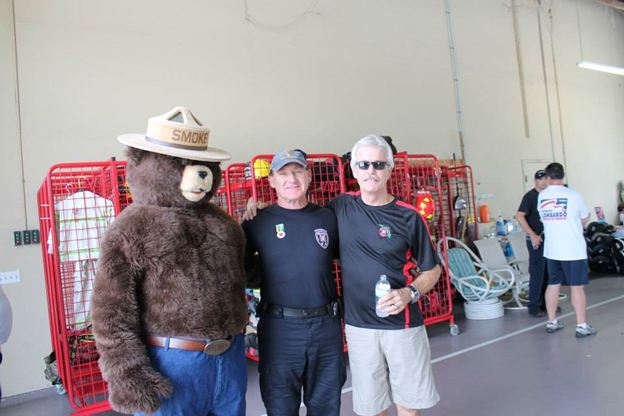 Events include car seat inspections, bike helmet fittings, disposal of unwanted medications, CPR demonstrations, bone marrow registration, appearances by Smokey the Bear and much more. Since 1997, the District has hosted the annual Fall Festival & Costume Contest each October. 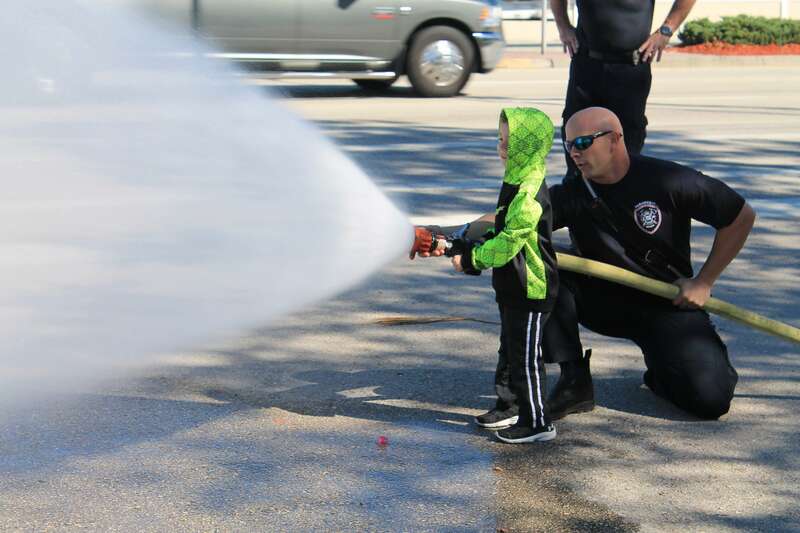 Complete with a kids’ costume contest with prizes, games, fire demonstrations and food, the annual event is a favorite tradition for the community. 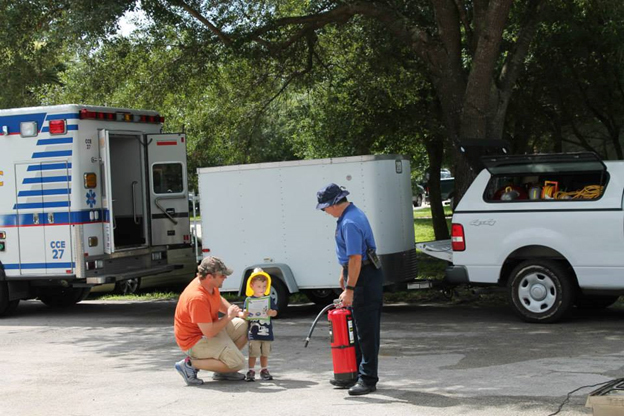 Would you like North Collier Fire Control and Rescue District to visit your school? Please submit your request and our staff will respond back as soon as possible. 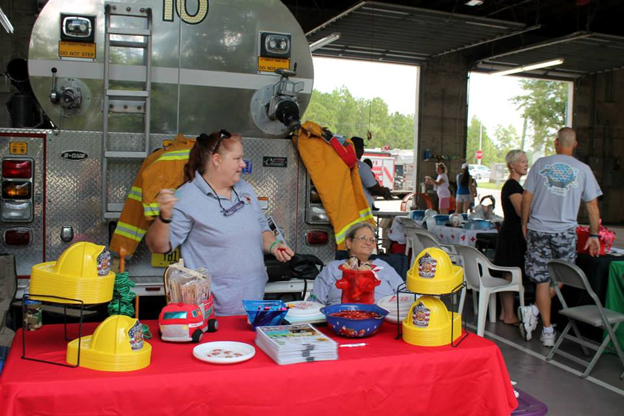 Would you like North Collier Fire Control and Rescue District to participate in your community event? Please submit your request with details about your event and our staff will respond back as soon as possible. 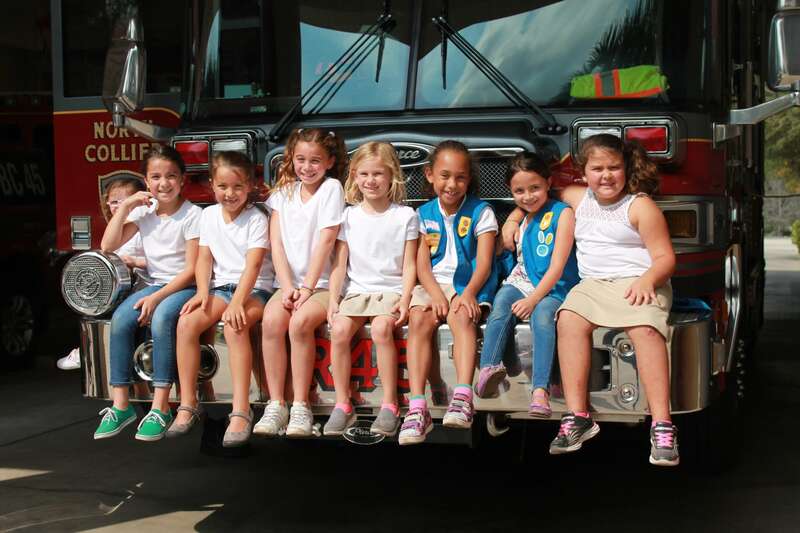 North Collier Fire Control and Rescue District welcomes guests into our fire stations and is happy to conduct tours for schools or other groups. Please click on the link below to complete our information request form and we will contact you to schedule a tour. © Copyright 2019. North Collier Fire & Rescue District. All rights reserved.